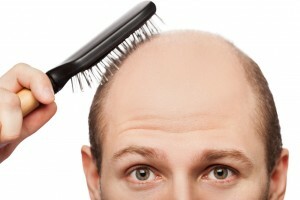 As people get older, their hair eventually begins to fall out, its just a fact of life. Usually genetics determines if it happens early in your life, or later on in life when you are closer to death. But could your hair loss lead to a lower overall quality of life? A study published in the Journal of the European Academy of Dermatology and Venereology tested 78 subjects struggling with hair loss. The patients were given a weekly questionnaire regarding how they felt throughout the previous week. They were asked if they felt depressed or any decrease in self-confidence. Based on their responses, scientists concluded that 74% of the patients were clinically depressed. In addition, 98% of the patients said that if they had to choose between receiving a permanent cure for their condition, or a 1000 euro payment, they would take the cure. This speaks very strongly to how badly these people want to eliminate this problem from their lives. 97% of the subjects attempted to disguise their hair loss at some point. This shows that people with hair loss have increased levels of self-consciousness and are ashamed of their image so much that they feel the need to alter it. I think that looking at how this experiment was conducted, reverse causation cannot be ruled out. 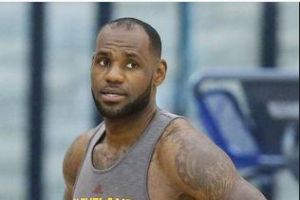 Perhaps it is the general depression and increased levels of stress that has caused these people to lose hair. This experiment also relies very heavily on people judging themselves and providing qualitative data, so human error could be a factor as it can sometimes be very difficult to accurately judge yourself. The test subjects were also obviously cued in to what the experiment was addressing, so they might have overthought their weekly habits. It would have been more beneficial to the experiment if the subjects were kept blind as to what the experimenters were looking for. Another problem I have with this experiment is that no control group was identified. The experimenters should have given the survey to someone who has a healthy head of hair and is not seeking treatment for hair loss. Without anything to compare the data to, how do they know how much worse off these people are compared to people who are not losing their hair? This entry was posted in Uncategorized on December 2, 2016 by Chris North. I enjoyed this topic and I agree that the test that underwent is largely dependent on the subjects self-judgment. Potentially something irrelevant as we’re looking for specific hair loss. Another approach could be looking at if people are happier once they’re officially bald or speed the process up by shaving their head. http://www.slybaldguys.com/smf/index.php?topic=21447.0 , this is a gentleman’s personal experience dealing with hair loss and ultimately transitioning towards the “bald look”. I think this shows that this could be an interesting route to further your research. Hopefully you find this idea rather intriguing.